Start your Thursday night festivities at Tokyo with the best Drink Specials in Southeast Texas, PERIOD!! From 4:30 – Close, You can enjoy a small sake and any beer for $4 all night at any of our locations in Beaumont or Mid County. What does that translate to? $1 SAKE BOMBS! Also, try some of our new “off menu” items on Thursdays, such as the new Wasabi Bomb, with your choice of tuna, salmon, or crab rolled with A LOT of wasabi and tempura battered & fried and served with spicy ponzu. 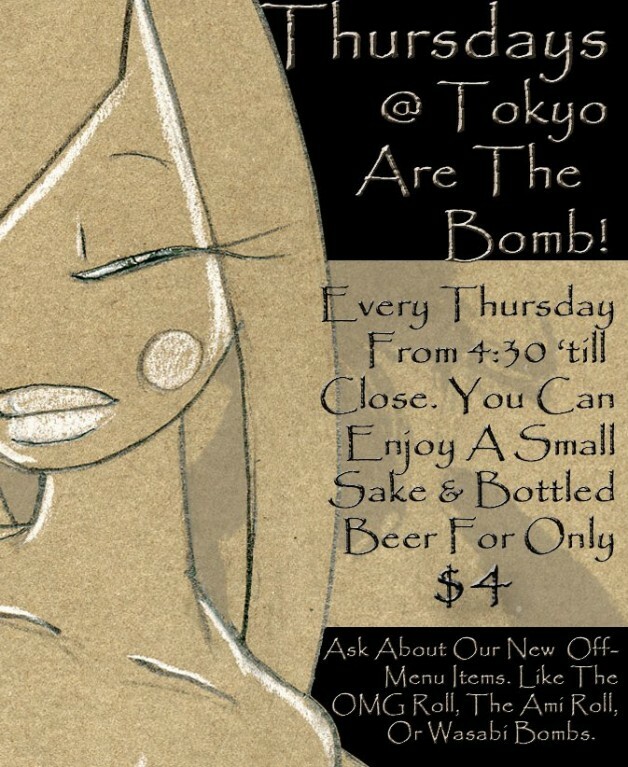 Get your Thursday night partying started at Tokyo! !